Welcome to Dukes Storage Abingdon. We cover all of Oxfordshire’s storage needs. 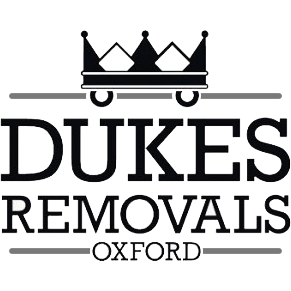 Dukes offer storage for students, and all personal, residential, office and commercial storage in Oxfordshire. We provide a friendly and reliable service, whether you want self-storage or prefer a pack, move and store service for your whole house. We collect and deliver at an arranged time that is convenient for you. All storage items are packed professionally, with care taken to insure no damages. We can wrap furniture and supply full packing materials and dust covers. We also offer door-to-door collection and delivery service. Our company takes pride in staying prepared. To best serve our clients, we come equipped with all the tools and skills needed to get any removal job done efficiently. This is why Dukes Storage decided to open our doors to the people of Oxfordshire looking for a place to maintain their belongings in a safe, efficient and cost-effective way. Our storage services are flexible, meaning every customer can access a storage space according to their exact needs. The safety of your items matter to us, and you can trust Dukes Storage Oxford facilities to keep your belongings securely tucked away until you decide to take them back. You will find the range of storage solutions we offer to be sufficient for any need, no matter the size, value, distance or duration.